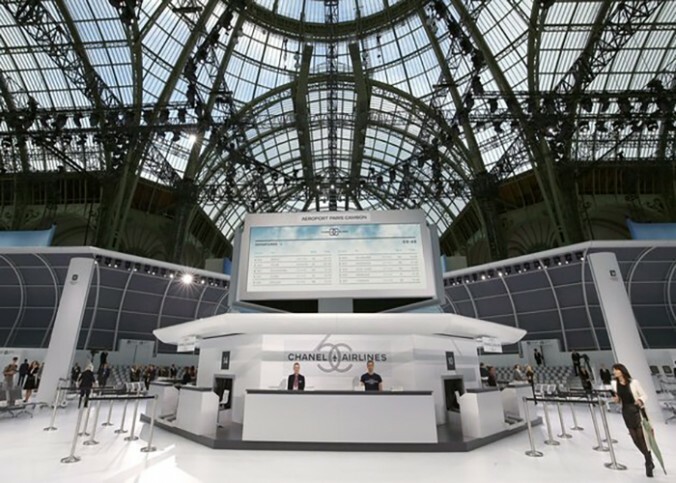 Daddy Karl Lagerfeld just upped the airport style ante, turning the Grand Palais into a life-size Chanel Airlines terminal. 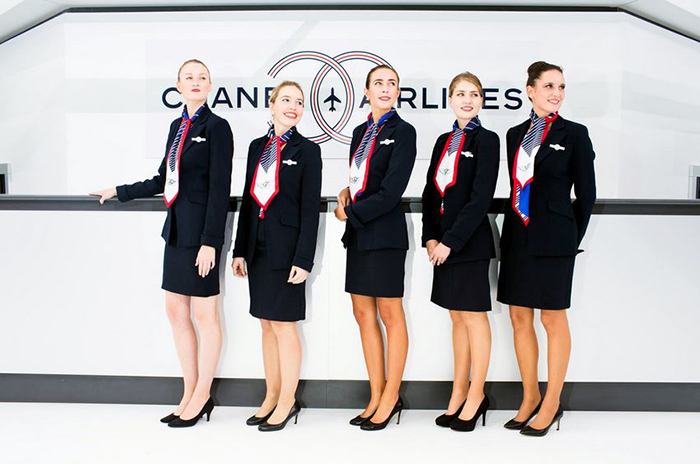 At Terminal 2C, flight attendants clad in Chanel assisted hordes of glamorous passengers. While unlikely a regular human TSA agent would don Chanel, I’ll let Daddy do what he does best: create an uber-realistic world where double C’s are emblazoned on every nook and cranny. No tacky jogging-suit sightings. No oversized upcharged luggage. And most importantly, no wailing mini humans. 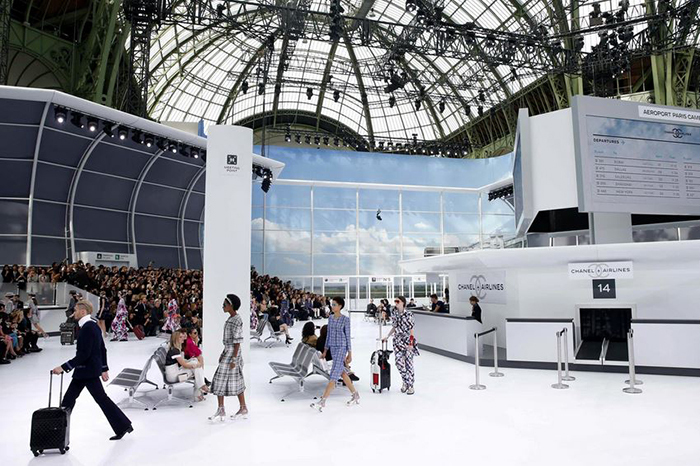 Before the show, more aptly titled a performance, branded luggage trolleys were abandoned by Porte No 5, while VIP guests were seated on rows of airport waiting-room chairs. 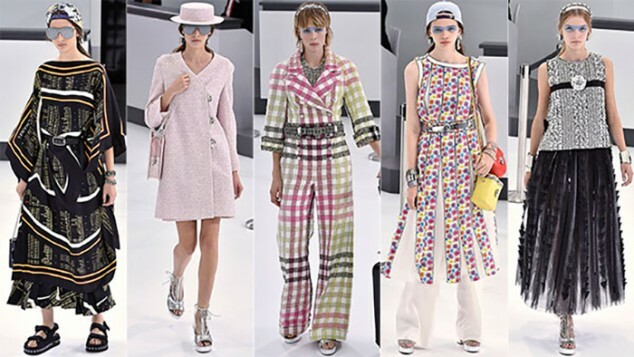 The show opened with a pilot in a high-collared, double-breasted uniform wheeling his flight trolley through departures followed by cashmere jogging bottoms with a miniature plane print, departure board printed silks and tweed skirts. 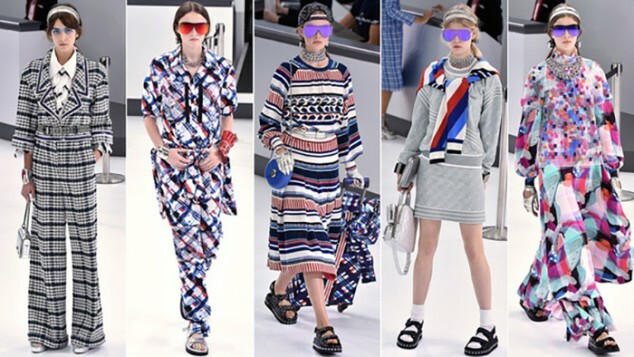 The front-runner pieces from the show were the chunky “birkinstock-like” sandals with flight path lights and the padded wheel carry-on suitcases. 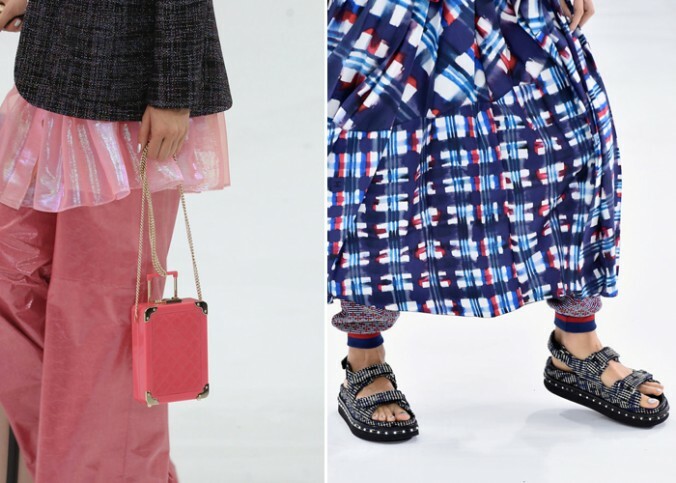 I use the term front-runner loosely for the sandals, meaning they were the most Instagram-worthy pieces and not necessarily the most glamorous footwear. Far be it for me to judge Daddy’s genius but when I chase a laser pointer, I was not insinuating he should incorporate it into his next designs. Pardon Daddy but we will agree to disagree on socks and sandals.